We will leave the apartment for good early in the morning Thursday, and the big truck will arrive between 10 & 11 pacific. I’m really having mixed feelings. Full of angst. I have to say, it’s likely just leftover stress of how the loan process went. Don’t EVER use Bank of America. Ever. I’m not the only one who will tell you that. I wish someone would have clued me in (lots of people are telling me now…other loan officers, underwriters, title companies, and even our relocation service). I haven’t talked much about it here because honestly, it was so mentally, physically and emotionally draining going through their process, I just didn’t want to re-live it and waste my blog pages on anger and stress of that level. Maybe after some time has passed. But also, there are so many things in my head I’m worrying about. How are we going to fit things from our big Solon house into our slightly smaller Seattle house? The boxes of stuff are going to be overwhelming…how long is it going to take us to get these all unpacked? We were in a hurry when packing, and the movers actually did the packing. It’s likely a lot of stuff came that should have been just tossed. I’m actually HOPING that’s the case because there were SO many boxes. I hope we have the clarity to eliminate a good chunk of them rather than just storing them. And most of all, the kitties. How are they going to do? This has been so much scary change for them. I’m so afraid of the stress making them ill, or them getting into something they shouldn’t…or getting out…hell. The thing I didn’t expect at all is that I’m feeling a little sad leaving the business district & waterfront (the neighborhood is called Belltown, and we’re right on the Port of Seattle). We’re definitely still “city” where our house is. So much is walkable, the neighborhood and surrounding areas are awesome, and we’re really a very short drive into Belltown. But I got attached to my little walking radius here. The Seattle Art Museum Olympic Sculpture Park on Puget sound where I took all my sunset photos, the Public Market area, and just the general buzz. I just want to make sure this area stays a part of our lives. And now that the stars are aligning on the house, hopefully the stars will align with the job situation and all of my angst will be gone. Right? So a toast to the last night at the apartment! 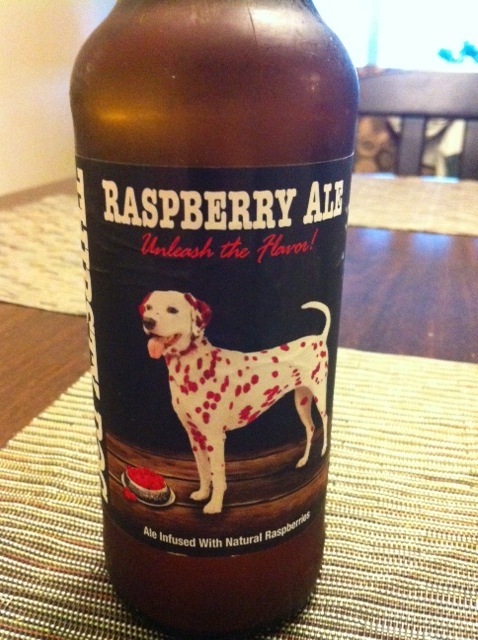 A Thirsty Dog Raspberry Ale from Akron, one of the last bottles left from our 2012 Winking Lizard World Tour. This entry was posted in Adventures at Home, Adventures in the Human Race, Change, Seattle, Uncategorized. Bookmark the permalink. Adventures in The Great Outdoors!